Aetrex was founded in 1946 and has been a global leader in comfort footwear and arch supports. The company’s tag line “the healthiest shoes you’ll ever wear” applies to all of their footwear categories from heels to sandals to boots to walking shoes. Aetrex footwear has innovative technology incorporated into stylish and fashionable shoes. Their mission is to create the healthiest shoes on the market today. All styles are crafted with care to meet the highest standards in design. They incorporate cutting edge material technologies, and they offer unmatched customization and adjustability. The net result is an extraordinary line of footwear designed to help you feel great on your feet and promote a healthy and active lifestyle. Aetrex shoes come in a variety of categories such as casual, dress, athletic, sandals and therapeutic footwear for both men and women. 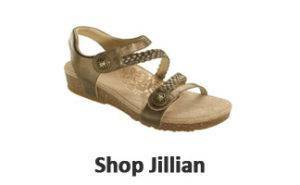 The company offers fashionable heels with built-in arch support, anatomically shaped sandals with customizable footbeds, and everyday casual shoes with removable footbeds to accommodate custom orthotics. Aetrex shoes come in a wide range of sizes and widths, including wide shoes, to fit each customer’s individual needs. Each pair of shoes is meticulously designed with the highest quality materials. All Aetrex footwear incorporates cutting edge technologies and arch supports in order to provide extraordinary comfort for all-day wear. Unlike conventional footwear, many of Aetrex footwear styles feature a customizable fit with the patented Mozaic® Customization Technology. While shoes are made in pairs, no two feet are, and Aetrex understands this more than anyone. Aetrex is also the proud maker of Lynco orthotic footbeds and other foot care products. 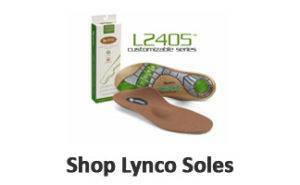 The Lynco over the counter arch support comes in a variety of styles to suit your personal needs. Aetrex is committed to designing shoes for an extraordinary footwear experience, helping you look and feel your best. Come into any one of our stores, located in Anaheim Hills, Rancho Cucamonga, Riverside, San Dimas, Temecula and La Quinta! 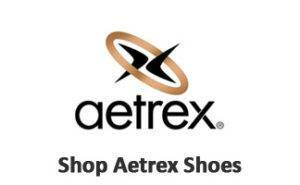 Visit us today and try on a pair of Aetrex shoes! 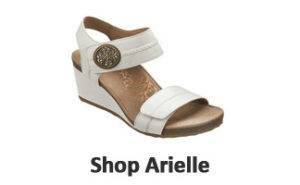 At Lucky Feet Shoes, we carry many Aetrex shoes: wide shoes, sandals, heels, arch supports and boots; in any of our Southern California stores. If you are looking for Aetrex footwear in Orange County, the Inland Empire, Los Angeles County, Temecula or Riverside; we have six stores to serve you! Come and visit us today!